Dr Rita joined us permanently in April 2018 after a number of years of locum appearances and is our Senior Veterinary Surgeon with a wealth of Surgical and medicine skills. She graduated from Murdoch University in 1998 intending to make Victoria her home but couldn't quite leave the beautiful beaches and warm people of WA, so she briefly settled down with her Hubby George and Sharpei Malf in suburban Perth. Her interest in farm animals saw her travel to the UK for the Foot and Mouth epidemic in 2002, where she plied her trade in a quaint country practice in Wales before returning to sunny Perth. Her calm and efficient manner is a comfort to frightened cats and dogs. She enjoys seeing horse in practice, and has been a member of the West Australian Endurance Riders Association since 1994, both as a riding member and as the scrutinising Veterinarian. Friday nights see her in the Swab Box at Gloucester Park. In her (rare) spare time, she rides Banjo, her Arabian, practicing for her next endurance event or walks her new Sharpei Fraidy. Dr Sam joined us in January 2018, having graduated from KIAU in Iran in 2009. After 3 years working as a herd health consultant, Sam emigrated to Australia and settled in Perth. He developed his skills alongside specialists in WAVES and general practitioners in Halls Head and Cannington Veterinary Hospitals. Dr Sam enjoys the challenge of internal medicine and especially edept at repairing computer (internal) failures in the Clinic. Cass joined us in May 2018, bringing life to Reception and coordination to the Practice. She particularly enjoys puppies, (especially if they are beagle puppies) and is running puppy classes here on Thursdays. Cass heads a Beagle dog rescue group, so talk to her if you need any beagle advice, or are looking to rehome a beagle. 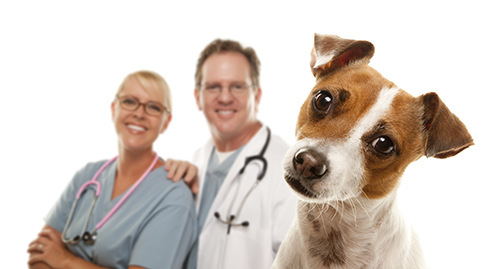 Rochelle has a wealth of experience in veterinary nursing, having worked in some wonderful veterinary practices including conventional and holistic veterinary medicine. She is exceptionally likeable and takes excellent care of your animal friends. Rochelle owns 2 cats called Dominique and Apophis, a rabbit Nibbles, a ferret called Mocha and a Cockatiel called Lori. Rochelle has a special interest in reptiles but she loves all animals. In her spare time she visits and volunteers at WA Reptile Park and Armadale Reptile Park. She offers a pet sitting service when she is not busy here or volunteering. Christina mans the desk on Saturday. She loves all animals, and has a cuddle ready for each of the patients. She is quite fond of taking beautiful pictures with your pets. Be ready with your brightest smile!